New lower density 9-1-1 Titanium body, 6-layer carbon composite crown and minimal sound ribs allow for 25g of discretionary mass to be relocated low and back in the sole of the club - increasing overall inertia without sacrificing low CG, hot trajectory, or aerodynamic performance. A new ultra-lightweight 4 aluminum Loft Sleeve features 12 easily adjustable settings to dial in your loft (+/- 2) and face angle without going to a golf shop. Headcover and adjusting wrench kit included. 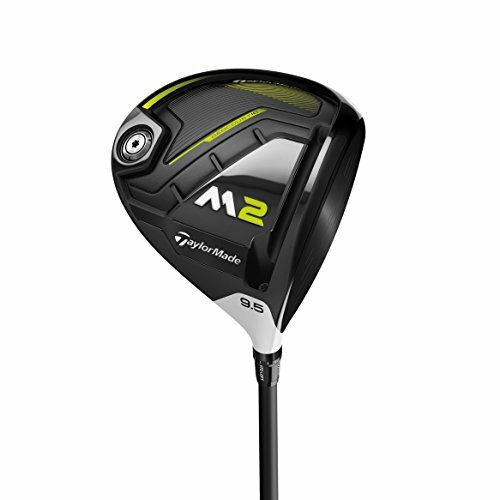 TaylorMade M2 Driver 2017 Men's Fujikura Pro New - Choose Hand, Loft, & Flex -- Authorized Taylormade Ebay Dealer! Lowest Price! Last updated: April 20, 2019 at 12:09 EST. Pricing information is provided by the listed merchants. GoSale.com is not responsible for the accuracy of pricing information, product information or the images provided. Product prices and availability is subject to change. Any price and availability information displayed on amazon.com or other merchants at the time of purchase will apply to the purchase of the product. As always, be sure to visit the merchant's site to review and verify product information, price, and shipping costs. GoSale.com is not responsible for the content and opinions contained in customer submitted reviews.